Last year’s SXSW felt like a big, ugly hangover, which left us in a gloomy state of remorse and weariness about the current state of digital. It seemed like technology had failed us and humanity was doomed. Fastforwarding to SXSW ‘19 I was confidently expecting this storyline to continue. Would it grow into increasingly darker and somber visions of our future? After visiting six days of full-blown inspiration, discussion, mind-stretching and creativity, the answer was: "No, quite the contrary!" The event moved beyond binary discussions; it was neither about overselling a distant tech utopia, nor about resignation and withdrawal into analogue nostalgia. In fact, it was a coming together of people who are both open to new perspectives and very serious about exploring more nuanced views on our all futures. They called us to arms and invited each and every one of us to finally take on our personal responsibility to design a future worth living in. I took three key strategic findings away with me. With over 50% of the featured speakers holding political office, the main message was clear: Politics and the future coexistence of technology and society is the design problem of our times and should not be left to corporates alone. Where, in previous years, innovation mainly focused on new products and services, without making our lives substantially better, the realization has now kicked in that innovation needs to be tackled with a systems approach. As products and people do not live in a vacuum, it’s not about optimizing individual pieces, but rather about re-designing the environment and context. This moves innovation into the realm of government and politics. From radical statements like breaking up Facebook and Google, to a renaissance of socialist views (new to America, everyday business for Europe) or the rally for new data ownership models where platform models are reserved for governmental institutions - many ideas were presented moving the spotlight away from corporates to government representatives and the role of democracy in a digital world. Whether or not one agrees with the individual opinions or proposals, it becomes clear that we are on the verge of seeing new models where corporates, governments and citizens cooperate and collaborate around digital value in new ways. While speakers from China, Japan and Korea educated the world on their radical digital mindsets and showed that part of what will be our future is already being lived in the Far East, the EU Commissioner Margarethe Vestager wowed everyone with a incredible smart and charming interview on political responsibilities in the digital realm. It became obvious once again how discussions and mindsets in these two areas of the world couldn’t be further apart. Europe and Asia have grown into textbook examples of polarised approaches on moderating and navigating innovation and digitalisation of societies. Valuable lessons can be drawn from both sides of the spectrum. They open up an interesting space for discourse that could be leveraged much more usefully. By integrating and making sense of both sides, we could come up with digital solutions that combine both social responsibility and technological experimentation. So, what do these large-scale developments mean for us as individuals? The secret sauce for navigating this increasingly complex space is, and will be, empathy. We’ve been talking about this word for quite a while now without it having a tangible impact on the way we do business. Instead, it has been one of those fluffy words thrown around in tech trend talks, in a way that is a bit shallow, underrepresented, and detached from daily economic realities. Empathy and the ability to make human sense of complex issues (which I like to translate into “common sense”) will be the currency for long-term value creation and the prerequisite for doing business on human terms. It helps us to make better decisions in life and business and what our world desperately needs is people who are able to make better decisions at speed and under complex conditions. This new reality was fully embraced throughout the whole conference: not only was empathy the leading topic in many talks and workshops, but it could also be experienced within the conference experience itself. This year’s list featured a diverse array of speakers and an impressive amount of powerful and charismatic female speakers who took over the biggest stages and most prominent keynotes. Throughout all these complex discussions, SXSW ‘19 managed to create an atmosphere that I hadn't experienced anywhere else for a very long time: a mixture of humbleness, pragmatic optimism and search for meaning - the very essence what it means to be human. The digital industry finally lived up to their calls for more humanness in technology; it didn’t just proclaim human-centered ideologies but actually put people first. This shift to more profoundness not only deeply inspired but installed a renewed sense of agency and responsibility to design future paths worth living. One question that remained open, and one I feel has been swept under the carpet beyond Austin too, is the question of how we will harmonize the call for digital ethics with the current dominant business logic of growth and revenue. From my perspective, this is the most crucial problem to solve, and while it surely poses a very challenging task, it is the key that holds the potential to truly redesign the digital landscape as we know it. With digital ethics and humanity surging into the core of organisations - both corporate as well as public - we desperately need new business models that turn making the right decision from a moral obligation into an attractive opportunity, creating sustainable value for everyone. 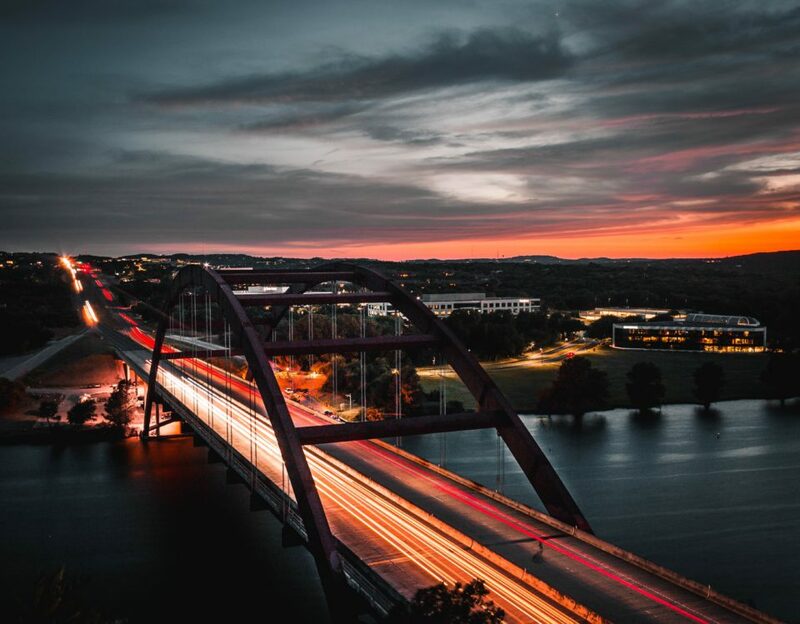 My hope is that the optimistic spirit of innovation will not be left behind in the Austin bubble, but that every one of us will take on the responsibility to start designing and shaping new, better future realities. Kristina Bonitz is Principal Strategy & Innovation at SinnerSchrader. SinnerSchrader (Part of Accenture Interactive) is a host of the NEXT Conference.